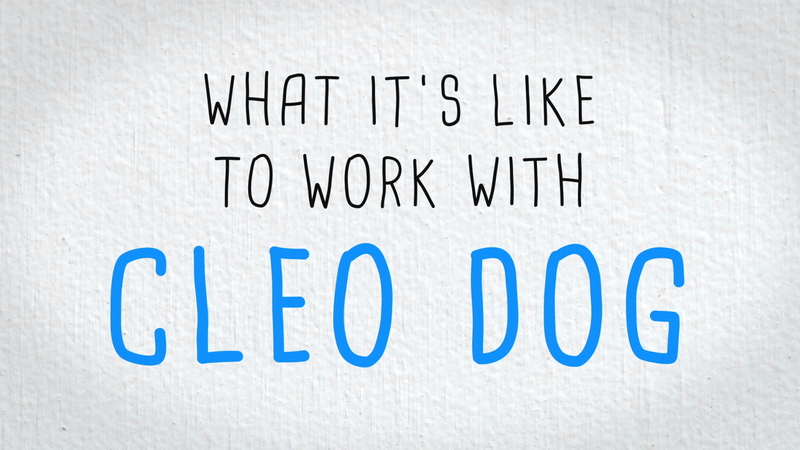 Cleo Dog Productions makes fun, affordable and effective animated videos to engage your target audience. We take your idea and run with it! For examples, take a gander below at some of the videos we've produced for clients and for fun! Lots of frame-by-frame animation here - time consuming, but satisfying! One of my favorite projects ever! They requested I do all the voices!? Can you believe it? Oh well, it was fun! Baby animation, part 1. Bizarre, but client signed off hehe! Baby animation, part 2. Another odd creation - had fun animating the baby gymnastic routine! Creepy characters are fun to illlustrate + animate! Oh Mickey, how could you? Sheep are really under appreciated animals. Old video - rough animation, 200K+ views on YouTube! No real point to this video, but fun to animate! Creepy dude is back and 5 times creepier! Internal presentation video for Fiverr. Took SO much longer than expected! Hello, you. I'm Ben. Good to have you here. Hey, feeling bored? Well, how about you check out some of my cartoons? You may laugh. You may shake your head with extreme disappointment. You may vomit uncontrollably. Who knows? But, thanks in advance for checking 'em out. Cleopatra is a dog--breed unknown--that seems determined to laze about forever, with those beady little eyes, judging but saying nothing at all.